Norman L Kleeblatt reviews The Water Lilies: American Abstract Painting and the Last (Later) Monet recently on view at the Musée de l'Orangerie, Paris. 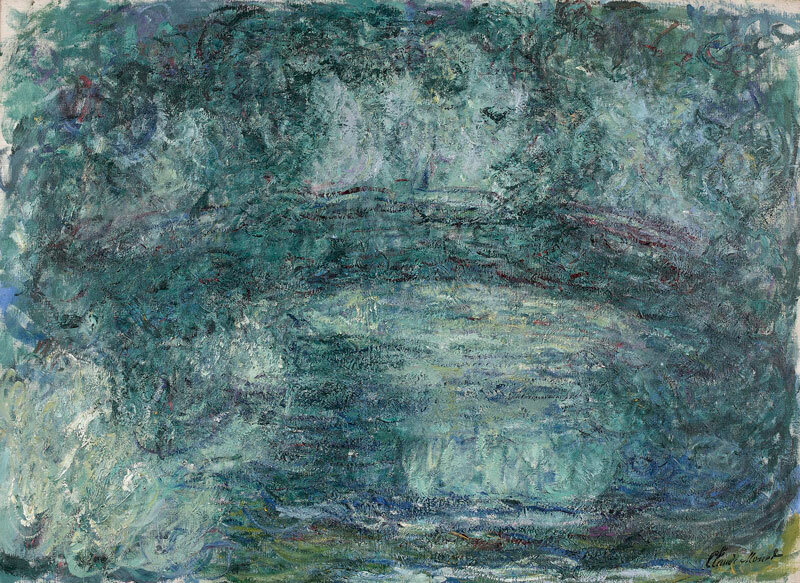 Kleeblatt observes: "Monet’s late work, in particular his now exemplar Water Lilies, offered a new node on the modernist art historical road map that underwrote American Abstract Expressionism. With 20/20 hindsight, late Monet could be explained and exploited as foreshadowing the origins of the large-scale gestural canvases, close chromatic range, and all-over compositions of the American painters. Yet, it stands to reason that these grandes decorations(Monet’s term) with their narrow range of dark color, and seemingly direct depiction of the natural world would have seemed dated from a vantage point of their time. They often were denigrated or dismissed as either too romantic or too Symbolist, in essence too removed from the radical modernist inventions of Fauvism, Cubism, Dada, and Surrealism, not to mention pure abstraction and non-objective art. They also were derided as the product of an artist with cataracts and their attendant visual blur."